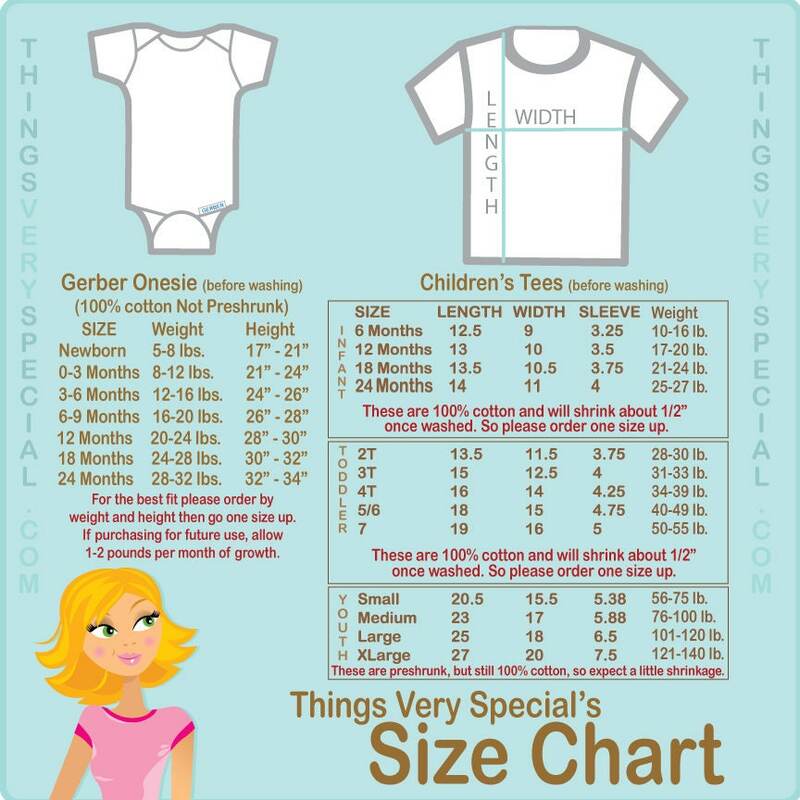 Pink and Grey Big Sister and Blue and Grey Little Brother Shirt or Gerber Onesie set of two. 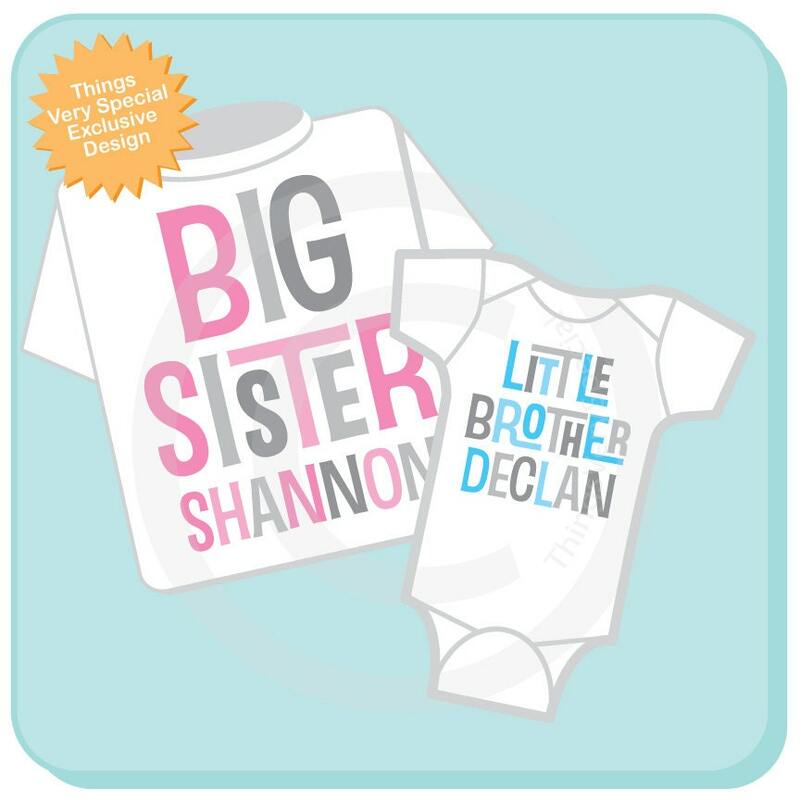 Super cute Personalized Big Sister tee shirt with awesome pink and grey text and Little Brother with Blue and Grey Text shirt or Onesie. 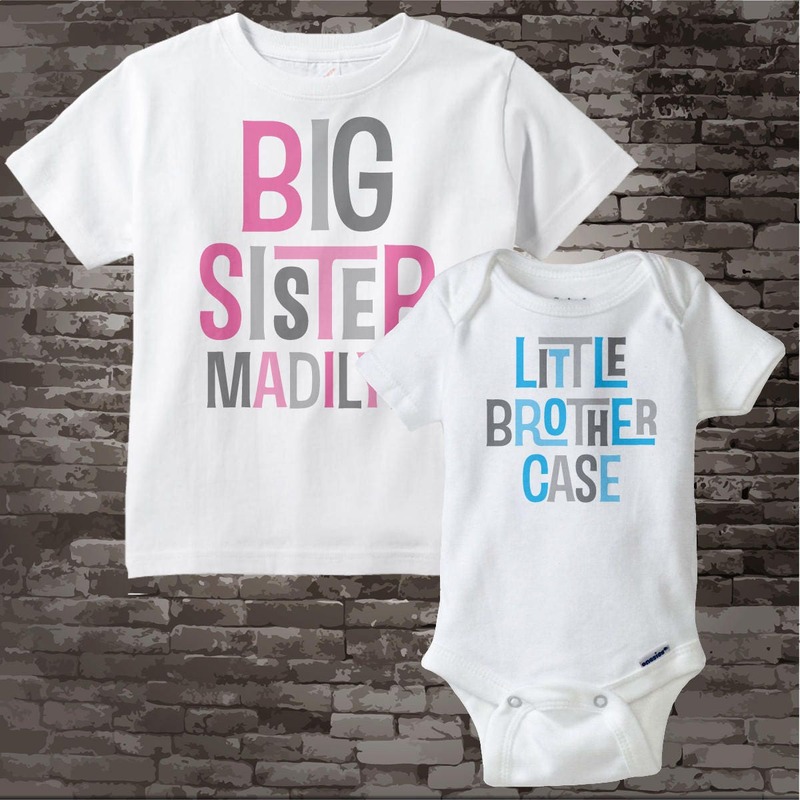 I was very happy with the quality of the fabric of the Big Sister white tshirt and the Little Brother white onesie. The colors and print were as pictured in the photo. I was very pleased with these items. Very cute!!! Greay for pictures! Great gift! Awesome gift!! Great quality-love it! Quality of shirts is excellent! Love the colors and the shipping was very fast. Highly recommended product.